Memories are priceless. So, we decided to organise a surprise visit from Dennis 🐴. Wishing a very merry, musical Christmas to all of the partners, colleagues, parents, musicians and friends whose support has been vital to making music education happen for children and young people this year. Across the globe, our incredible and passionate volunteers are working hard in their communities to raise awareness about ONE’s fight to end extreme poverty and gender inequality. We spoke with our volunteers to learn more about their experiences with ONE and to talk about why they think ALL #GirlsCount! What inspired you to join ONE? 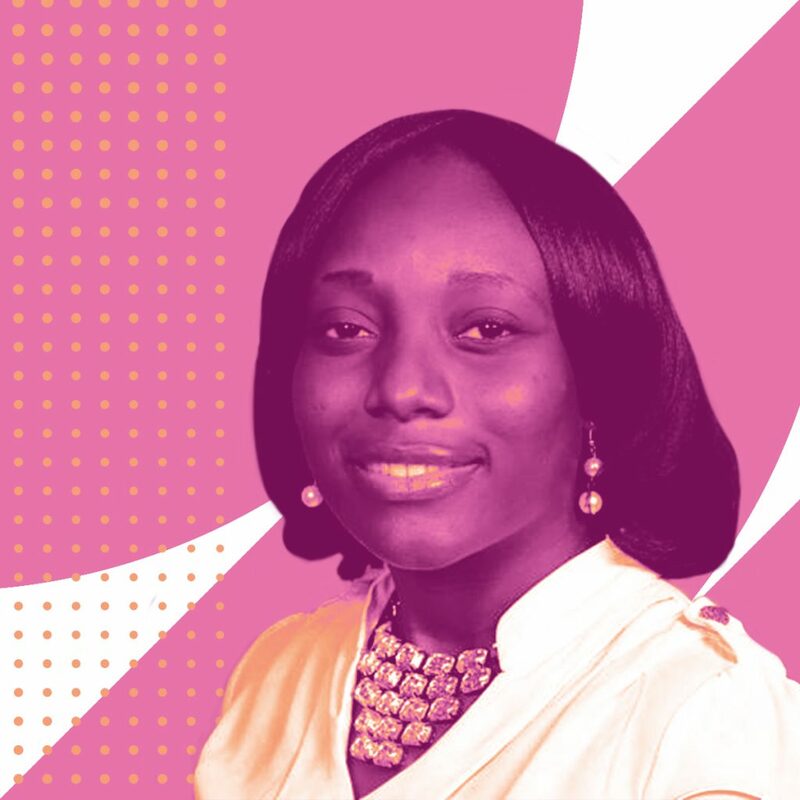 Boluwatife, Canada: It isn’t every day that you come across an organisation whose main purpose is to advocate for women who face oppression just because they are female. ONE also strives to push its members to use their voices to drive change. 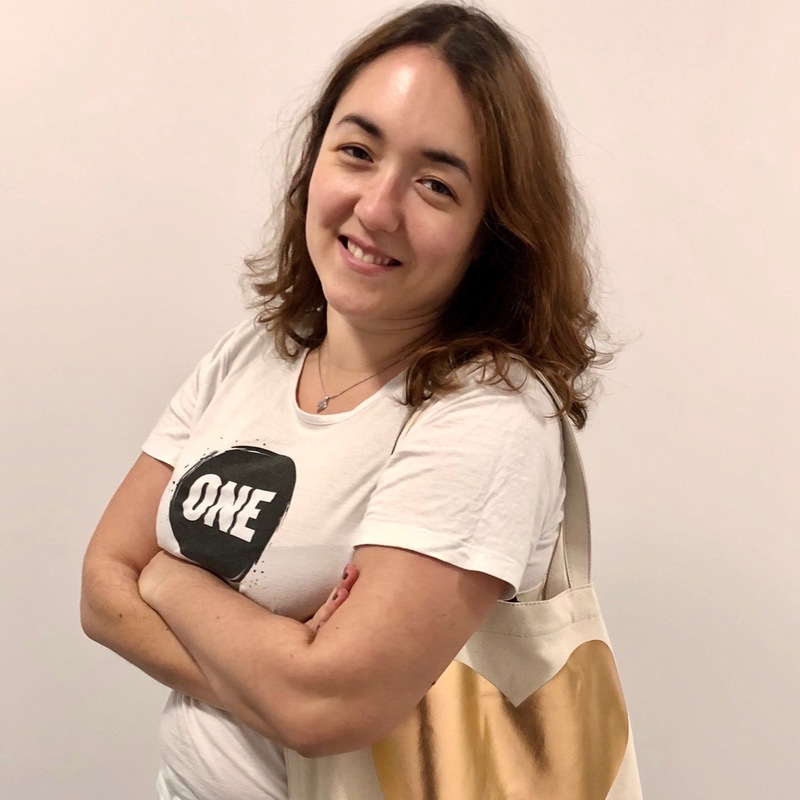 Liliana, Belgium: A friend of mine was a Youth Ambassador and told me all about ONE’s #PovertyIsSexist campaign and meetings with politicians. I was really impressed with the opportunity to speak up and directly meet with decision-makers. Jeenan, Canada: Community service, advocacy, and volunteering have been important parts of my life for many years. 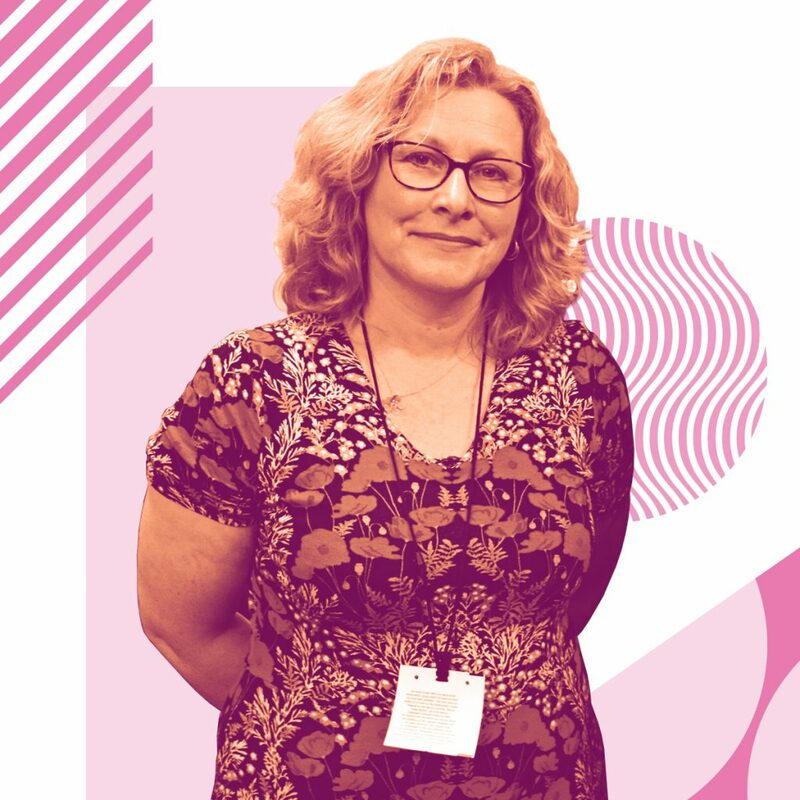 I learned about ONE and the important work its members do and was immediately interested in getting involved — so I started a ONE Campus chapter at the University of Calgary. 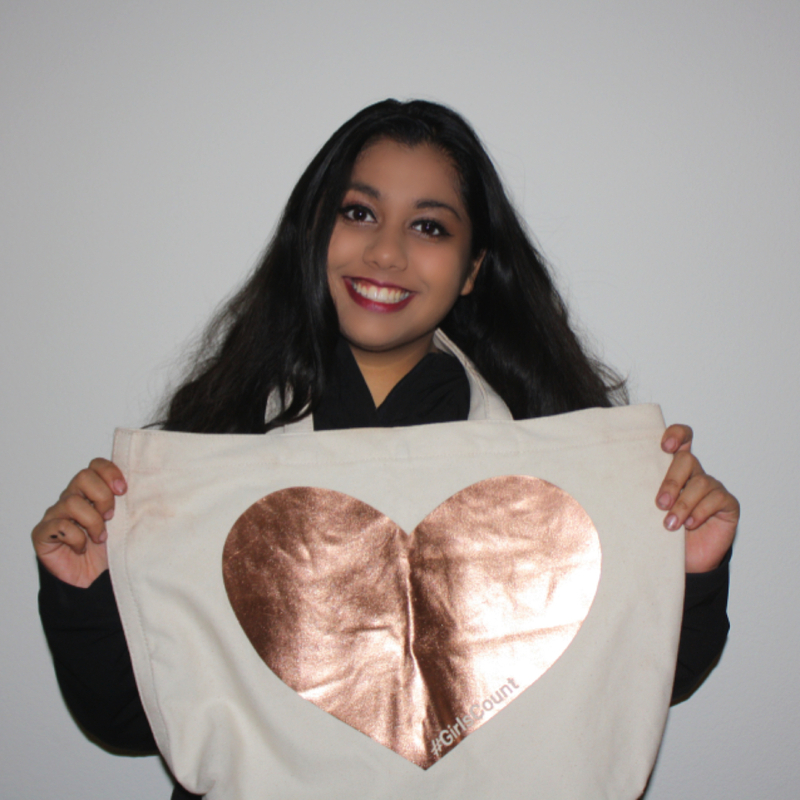 Benedicte, Belgium: I was really enthusiastic about ONE’s actions and philosophy. The Youth Ambassador programme seemed to be one of the best volunteering experiences because the volunteers have a lot of responsibilities and opportunities. 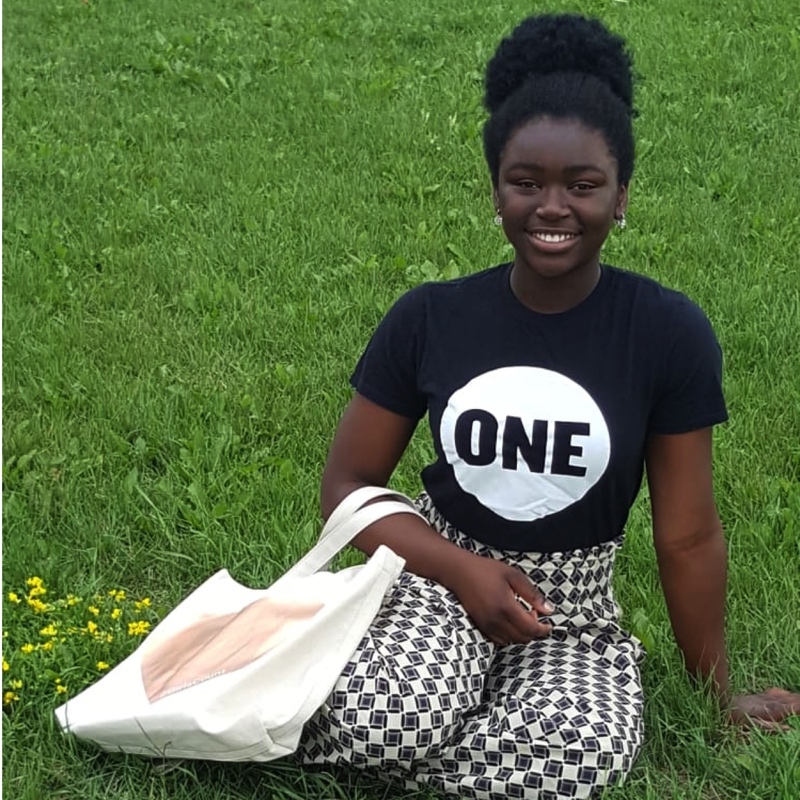 Rhea, USA: ONE is an organisation with beliefs that are consistent with mine, and after joining I finally felt like I was given a voice to help make a change. I was inspired by the fact that ONE achieves progress through actions that impact legislation. I believe everyone should get a chance at the life they deserve, and ONE gives me hope that one day that dream will become a reality. We started our #GirlsCount campaign to bring attention to the 130+ million girls out of school. Why do you think #GirlsCount? 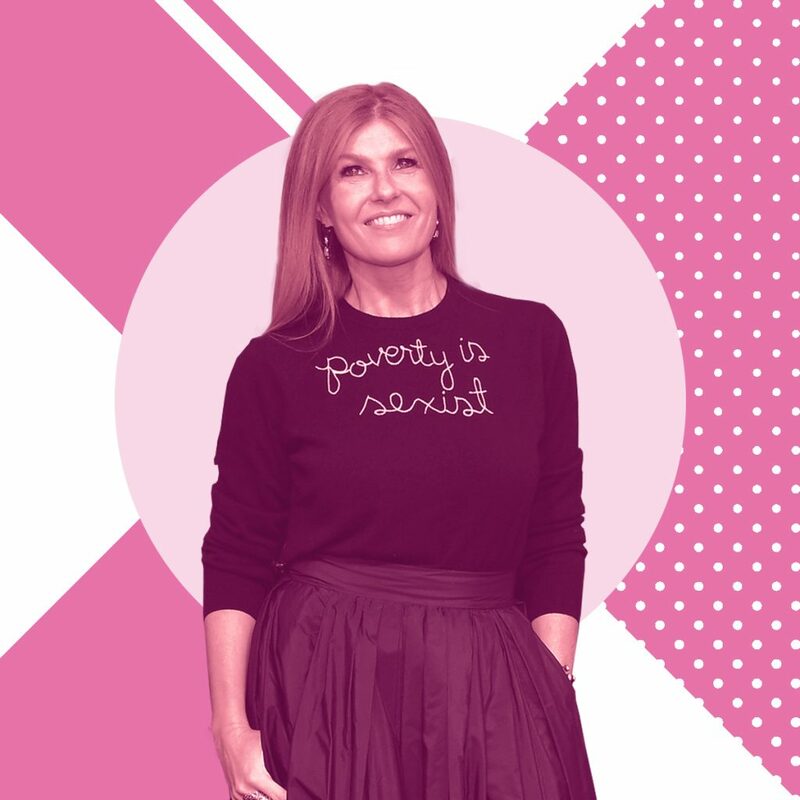 Jeenan, Canada: If we want to see a world without poverty, we must ensure that every girl has access to education, which equips her with the tools — like independence, better health and well-being, and the ability to reach her full potential — to lift not only herself out of poverty, but also her family and community. Liliana, Belgium: Girls represent half of the worlds population, therefore, they should be able to have their education and develop to be strong working models. Every girl counts! Boluwatife, Canada: For so long the voices of women have been undermined, our chances of success smaller than the ones of men. Somewhere out there is a doctor, lawyer, engineer, a change maker or even the next Marie Curie, but she may never achieve this dream because she’s a girl. Benedicte, Belgium: You can look everywhere, there’s nearly no place where men and women have the same opportunities. How many women can’t realise their dreams just because they are women? I wish every girl in the world could have the chance to go to school and to shape their own life. Rhea, USA: Almost 50% of the global population are females. That’s billions of bright individuals with unlocked potential that can change the world. Girls are integral parts of society, and to deny them a fundamental right is unjust. Every girl should experience the joy of learning and grow up to be a strong, successful, woman. What has been your most memorable experience with ONE? Jeenan, Canada: Representing Canada at the 2017 Youth Ambassadors Summit in Brussels. I lobbied the European Parliament, met other passionate youth advocates and was able to use my voice to create positive change in the world. Liliana, Belgium: The 2016 ONE Summit in Paris. We woke up quite early to create a football field to promote the Poverty is Sexist campaign. It was very important to me to see the enthusiasm from everybody! Boluwatife, Canada: How much I’ve grown and learned as an individual. Working with ONE has shown me how hard we need to work to make sure that all our voices are heard and to make sure that action is taken to create a better and more equal world. Benedicte, Belgium: On International Women’s Day 2017, I entered the European Parliament (EP) for the first time to lobby for ONE’s #GirlsCount campaign. Everyone we met in the EP was kind, listened thoughtfully and told us we were doing a great job. More than learning new skills I learned a lot about myself and what I was able to do. Rhea, USA: Lobbying at Capitol Hill for the BUILD act — getting the opportunity to travel to D.C. to meet with members of Congress, especially those that represent me, was absolutely incredible. Reaching out to those senators and representatives really made all the difference when in the end, the BUILD act was passed and signed into law by the President. Having my voice heard, and knowing that my actions made a difference meant everything to me. Educating a girl in the world’s poorest countries doesn’t just give her the opportunity to learn, it also gives her the chance to improve her health, wealth and gain independence! But, there are over 130 million girls out of school right now — that’s more than 130 million girls missing out on the opportunity of a lifetime. 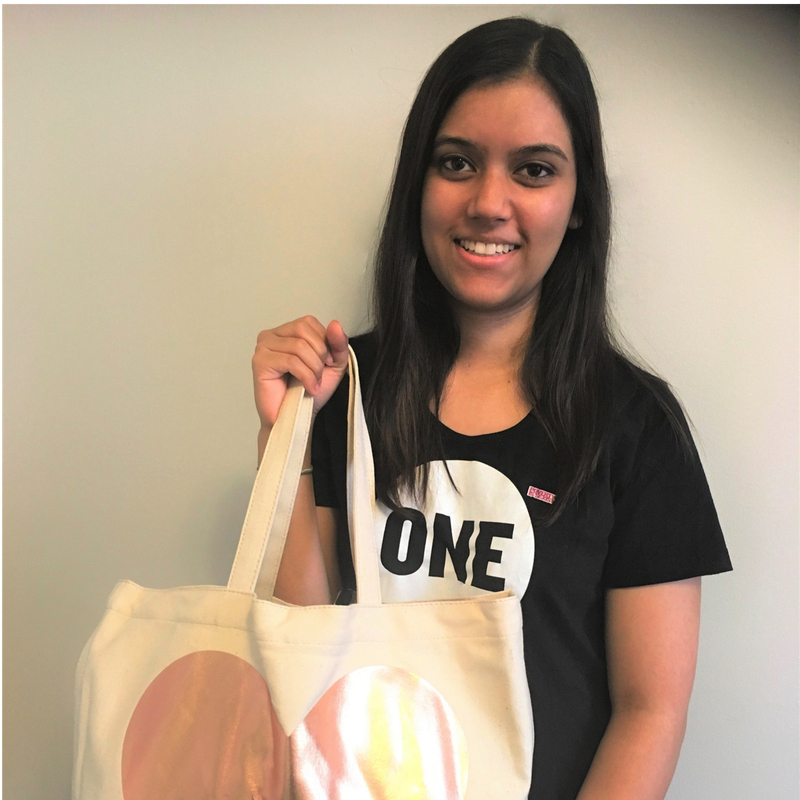 That’s why we were thrilled to partner with the Fossil Group — who created a limited edition #GirlsCount tote bag — to raise awareness about our campaign! Click here to learn more. Check them out below and download your favorite one! 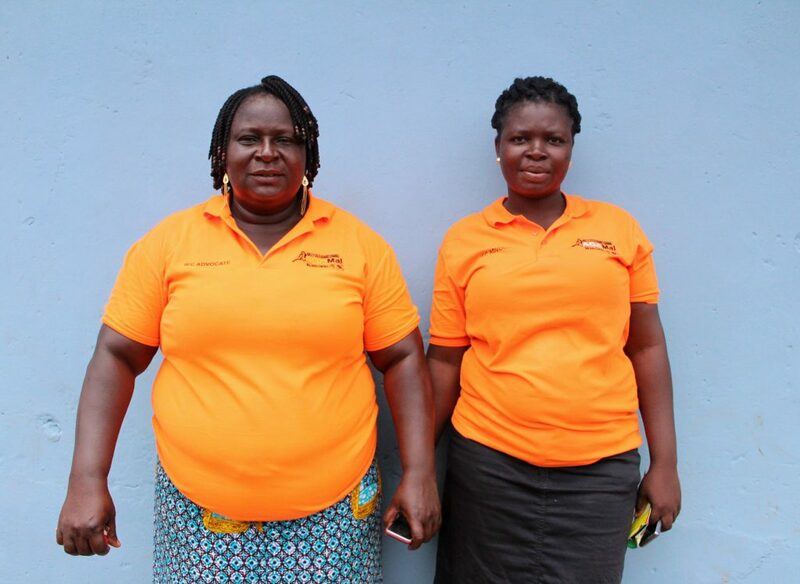 How are these dedicated women stopping malaria in Ghana? Piles of furniture, clothes, pots, pans, toothbrushes, and blankets sit piled high on the dusty ground outside several houses in Odumasi, a small town in the Ashanti region of Ghana. Dozens of men dressed in dark-green overalls and carrying metal cylinders make their way through the village, entering home after home. Donning bright orange polo shirts, two female volunteers look on with a watchful eye, answering their neighbours’ questions and pointing the men in one direction or the other. 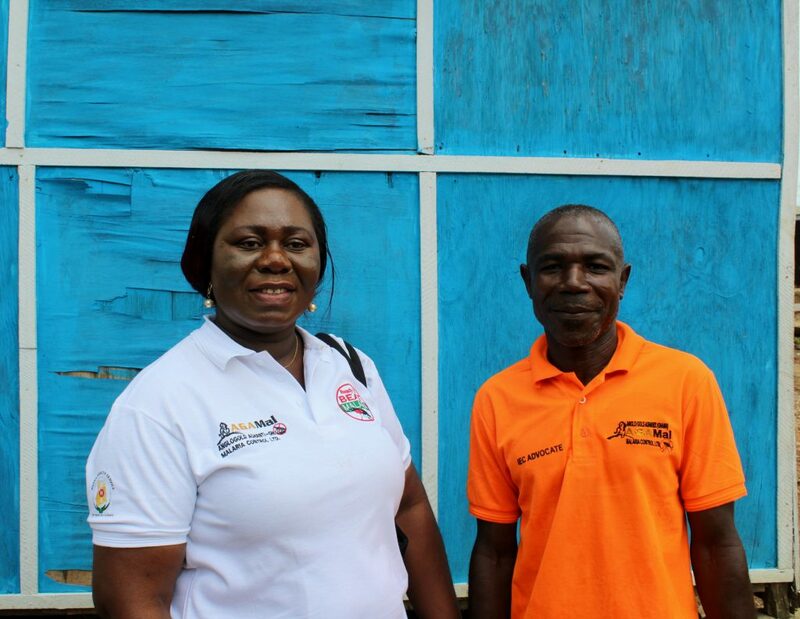 “When they come to spray, we are the ones who tell the community when it’s going to happen, and explain to them what to do and how to prepare,” says Ruth Oppong, one of the community volunteer advocates. “We are committed to ending malaria in our community. That’s why we are doing this,” adds her colleague, Adwoa Asantewa. Today’s operation is part of Ghana’s ongoing fight against malaria, a disease which kills nearly half a million people worldwide every year, 90% of who are in Sub-Saharan Africa, according to WHO. Despite recording a significant decrease in the number of malaria deaths – 599 in 2017 compared to 2985 in 2013 – Ghana is still at work eradicating the disease. 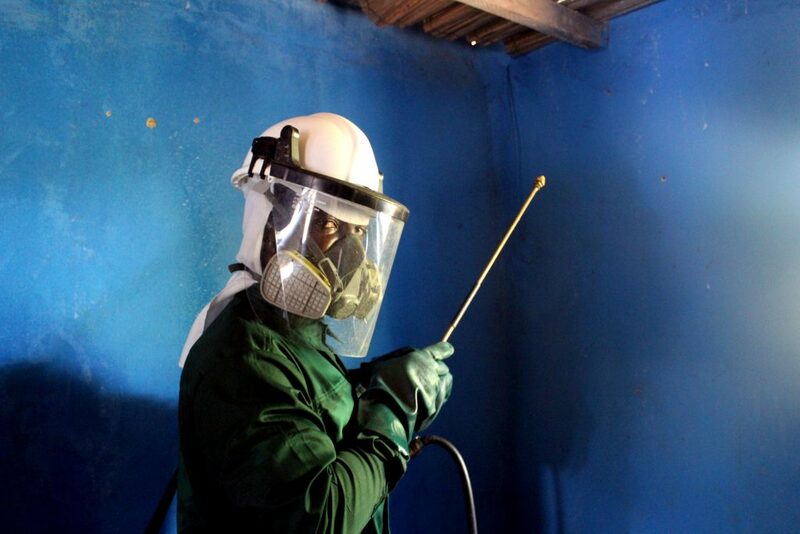 So far, indoor residual spraying (IRS), where long-lasting insecticides are sprayed on the inside of homes to deter mosquitos, has been one of the most effective malaria control interventions in Ghana. 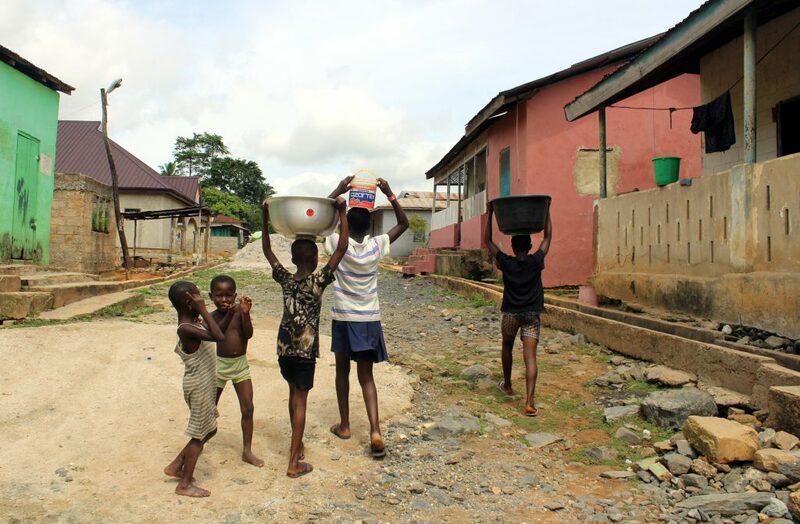 “When we started in 2006, our goal was to reduce malaria cases by 50%, but two years later the reported cases had gone down by 75%,” says Samuel Asiedu, director of AGAMal, a non-profit organization working to reduce malaria morbidity and mortality in Ghana. “Before, we used to have a lot of children getting sick. They would have a high fever and convulse, but since they started spraying the malaria cases have gone down,” says Veronica Kumah, a women’s representative in New Dokyiwa. 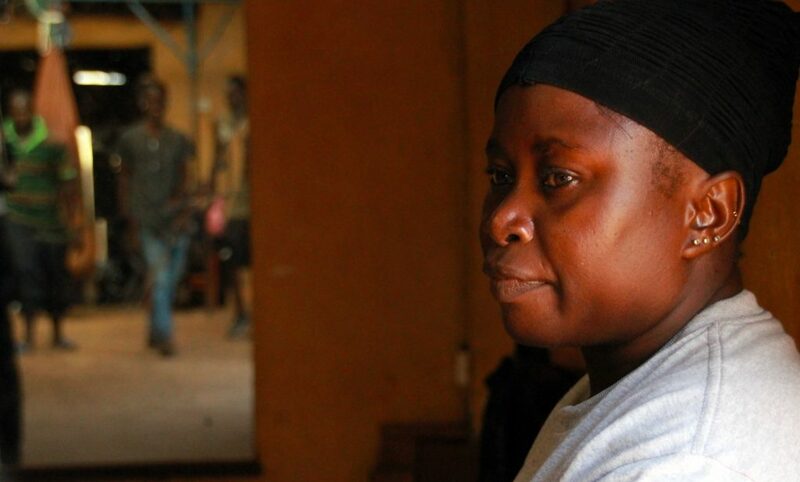 Every week, the women of New Dokyiwa meet with Veronica to discuss issues related to health and clean up surrounding areas of their town to prevent mosquitos from breeding. Their efforts, coupled with the indoor spraying, have drastically decreased malaria cases. But despite the programme’s initial success, numbers have plateaued due to mosquitos developing resistance to the chemical being used in IRS, says Asiedu. “With malaria control, if you don’t maintain it, you can go back to a situation that was even worse than before. We cannot lose what we have gained,” explains Keziah Malm, program manager for the national malaria control programme at the Ghana Health Service. In an effort to ensure progress, Ghana is one of the first countries in Africa to introduce two new ‘third generation’ insecticides. If used in rotation with each other, they will significantly decrease the likelihood of resistance. But the introduction of new insecticides – which is being done through The Innovative Vector Control Consortium (IVCC) NgenIRS project, with funding from Unitaid and Global Fund – is only part of the battle against malaria. And while the spray operators are men, many of the volunteers are women, and they play a vital role in the programme. “It is very easy for us women to make an impact. We are able to convince people that getting their house sprayed is a good thing.” says Ruth. Geeta Verma got recognition from WHO for her heroic spirit! For few people a motorcycle ride in the Himalayas would be a matter of leisure, for others another item on their bucket list, but for Geeta Verma it is a matter of life and death. Life of not one, two, but thousands of kids in rural Himanchal who do not have easy access to vaccines. Braving all the obstacles put in front of her by the treacherous roads and uncertain circumstamces in the Seraj valley, Himanchal Pradesh, Geeta manages to carry the measles rubella MR vaccine box to the remotest corners of her assigned blocks. Deployed at the Shakardehra health sub-centre in Jhanjeli block of Mandi, Geeta has been relentlessly working on making the immunization campaign for kids in the remotest areas of her assigned district a veritable success. It is one motorcycle ride of Geeta that gives the children of shepherds and Gurjar community in remote villages like Raygarh, a life without miseries and measles. Geeta's relentless efforts caught the eye of World Health Organisation and she was featured in the WHO calendar of 2018. 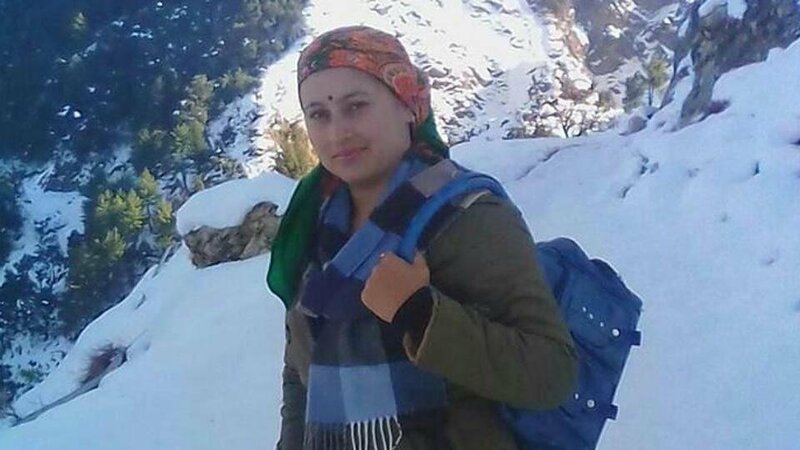 For Jai Ram Thakur, the chief minister of Himachal Pradesh, it was a proud moment as a woman health worker from Himanchal Pradesh was featured in a WHO publication. Thakur also felicitated Geeta for her brilliant work in ensuring complete coverage in the remotest regions and making measles and rubella vaccines accesible to all. India, with the help of World Health Organisation, launched one of the world's largest vaccination campaigns against measles and rubella on February 5, 2017. Both measles and rubella are a major threat to child health and claimed over 90000 lives in 2016 alone. The campaign aims to vaccinate more than 35 million children in the age group of 9 months to 15 years with the combined MR (measles and rubella) vaccine. It is frontline health workers like Geeta who exemplify the undying spirit of selflessness and protect children from life-threatening health conditions like measles and rubella. We salute the spirit of such brave saviours! To say there’s a lot going on in the world right now might be an understatement. 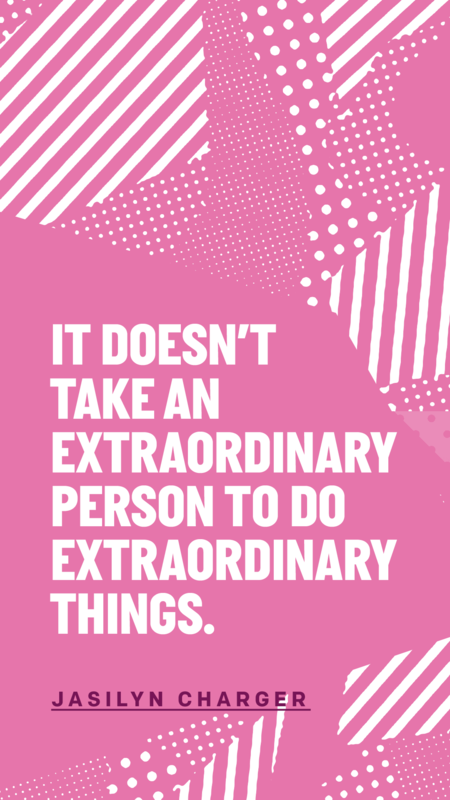 That’s why we’re vowing to be bigger, better and bolder in our fight to make the world a better place in 2019. 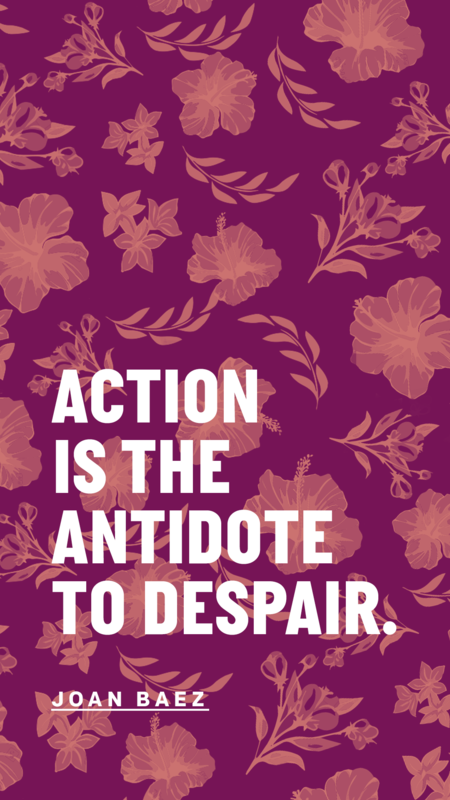 But, creating big change requires a group effort and we’ll need you to get involved! Start the new year off on the right foot by supporting the cause (or causes!) you believe in. Not sure where to start? 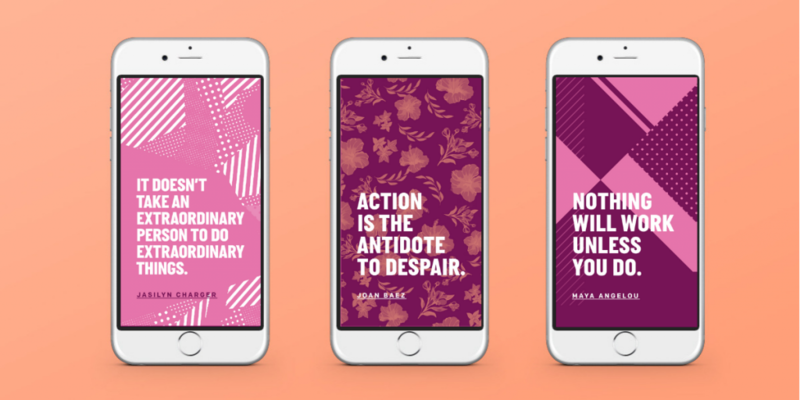 Here are a few of our favourite organisations that fight for causes we can get behind: The Nadia Initiative, Love Our Girls, New Faces New Voices, Restless Development, the African Women’s Development Fund, and Global Fund for Women. Educating yourself is one of the first steps you can take to make the world a better place. Set aside time in the new year to learn about the issues that get you fired up and seek out a better understanding of how your involvement can help push a movement forward. Put your newly acquired knowledge to the test by engaging in conversations about the issues at hand with everyone (think grandparents, best friends, classmates, workout buddies, etc.) you know. Speaking to others is one of the best ways to gain insight into how other people feel and can give you the power to understand what barriers lay in the way of solving the issue and where opportunities exist to leverage change. Plus, it’s a great way to spread information to people who may not otherwise have been reached! Participation in change making is all about giving one thing: time. Here are a few ways you can get involved: sign a petition, volunteer, show up to the march, write a letter to the editor or follow your favourite organisations on social media. Here’s the truth: fighting to make the world a better place isn’t always the most comfortable task. But if there was ever a time when the world needed its citizens to challenge themselves and fight for what’s right, it’s now. We have some big issues to tackle and your actions and voice are important to creating change and holding our leaders accountable. The good news is determining how far out of your comfort zone you go is up to you. Fired up? Become a ONE Member to get in on our world-changing actions in 2019. IAYO presents awards annually to youth orchestras at the Festival of Youth Orchestras. The aim of the awards is to acknowledge the particular accomplishments of IAYO member orchestras which have contributed significantly to the development of these orchestras. Two awards of €1000 each will be made to orchestras at the 24th Festival of Youth Orchestras for their activities in 2018. Download application details as .pdf or Worddocument. In previous years, there have been two categories that those applying could enter under. However, this year there will be no categories and orchestras can apply for the awards with any achievement, accomplishment or new development that occurred in 2018 and benefited the orchestra, young musicians, local community, etc. Young European Strings won for the extremely high standard of technical and musical accomplishment of their CD, Third Edition. Julianstown Youth Orchestra won for their commitment to expanding the orchestra and increasing the range of instruments available by the intense work of their musical director and volunteer committee. By the end of 2012, the orchestra had nearly doubled in size. St Canice’s NS Kilkenny won the award for their concert which celebrated their 30 years of existence. From its humble beginnings in the early 1980s, initiated by Gina O’Leary & Agnes O’Kane, the programme expanded with the acquisition of more instruments, more music teachers and more enthusiastic students! The music programme granted all children the opportunity to play a musical instrument. Athenry Youth Orchestra received the award for their orchestra development and outreach programmes in schools in Athenry and the surrounding areas. The programmes take place during school hours in the schools and provide children with free access to instruments that can often be expensive or more unusual. The East Meets West Orchestra received the award for the collaboration of Kilbride and Lakeside Band from West Wicklow and the Headford Youth Orchestra from County Galway and their concert. The goal of the combined orchestra was to expand the playing experience of both groups, led by their musical directors. The Carlow Youth Orchestra won the award for its ongoing relationship with Carlow School of Music and its efforts to develop the individual standard of its members. Musica Fusion Youth Orchestra won the award for their ‘Operation Integration’ which led to 80 young musicians aged between 4 and 18 performing in their orchestra together through having special arrangements created of orchestral pieces which contained multiple lines for each instrument to make the pieces accessible to the wide range of ages performing. Alexandra College Orchestra Dublin, RIAM Intermediate Orchestra, The Ryan School of Music, Tipperary, County Tipperary Ryan Youth Orchestra and Dunlavin Youth Orchestra, Dublin Youth Symphony Orchestra, Herbert Lodge Youth Orchestra and Mayo Youth Orchestra, WIT Junior Strings, Mayo Youth Orchestra, McEgan College, Macroom, NYOI Touch Bass Programme, Young Dublin Symphonia, Galway Youth Orchestra, Kylemore College Orchestra, Liffey Valley Youth Orchestra, Sr Concepta Murphy and Donegal Youth Orchestra, Greystones Youth Orchestra, National Youth Orchestra of Ireland, South East Ulster Youth Orchestra, Summer Music on the Shannon, Cork School of Music Symphony Orchestra, Dr Hugh Maguire, Mayo Youth Orchestra, St Canice’s National School Instrumental Programme, Carlow Youth Orchestra, Cork City Music Colege and Young Dublin Symphonia, Dr Sandra Dackow, Dublin Youth Orchestras, County Wexford Youth Orchestra, Music Matters, St Peter’s College, Dunboyne, Young European Strings, Carlow Youth Orchestra, Galway Youth Orchestra, Laois School of Music Orchestra, St Canice’s NS Orchestra, Fingal County Youth Orchestra, Maynooth University Orchestra, St Agnes Primary School Orchestra, Young European Strings Schhol of Music, Coole Music, Cork Youth Orchestra, County Roscommon Youth Orchestra, Summer Music on the Shannon, Athlone Community College, County Wexford Youth Orchestra, OURchestra, St Vincent’s School Orchestra, Carlow Youth Orchestra, Kylemore College Orchestra, St Agnes / Scoil Colm Primary School Orchestra, Young European Strings, Donegal Youth Orchestra, Julianstown Youth Orchestra, Laois School of Music Orpheus Orchestra, St Canice’s National School Music Programme, Athenry Youth Orchestra, East Meets West Orchestra, Carlow Youth Orchestra, County Tipperary Ryan Youth Orchestra, Coole Music Youth Orchestra, County Wexford Youth Orchestra, Esker Festival Orchestra, Musica Fusion School of Music. 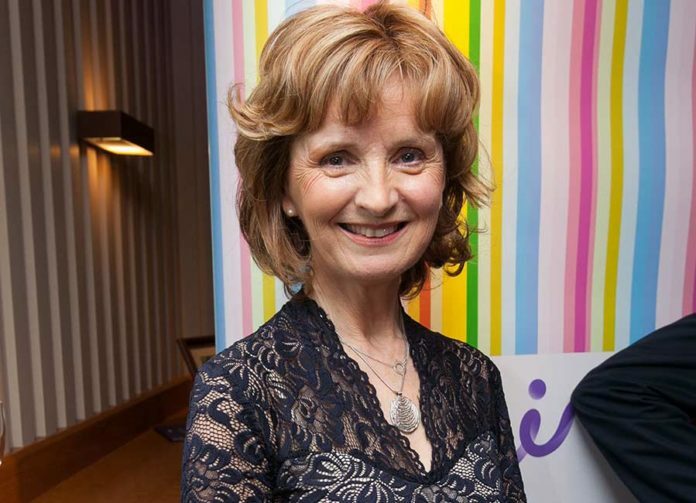 Adi Roche is arguably one of the most inspiring Irish women around, given her sheer determination to promote positive change and provide help to those in need. 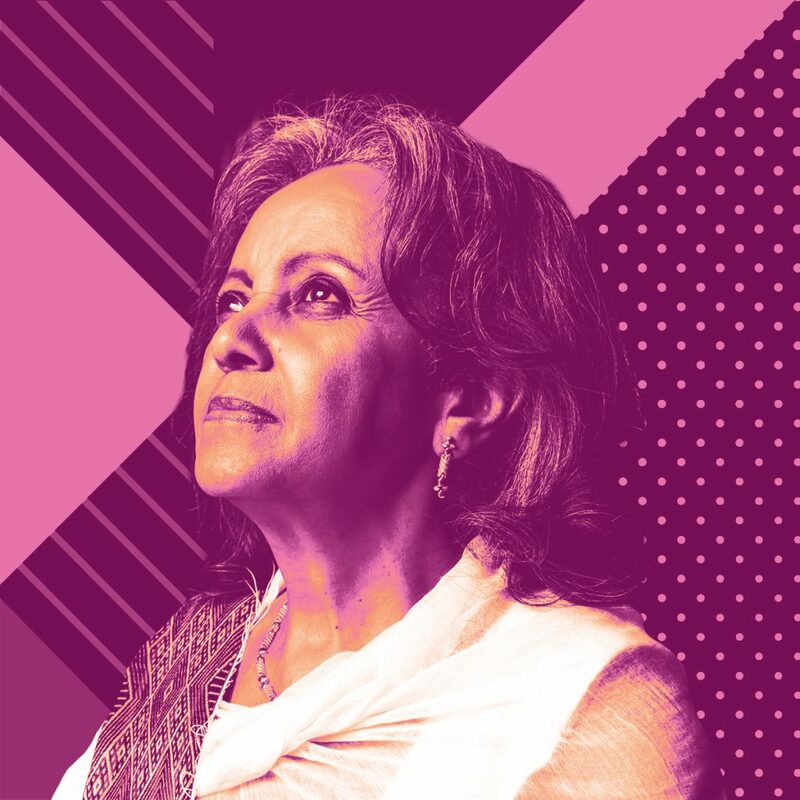 From her humanitarian work, which has saved the lives of thousands of children, to her influence in promoting peace on an international stage, Adi, 63, has dedicated her life to helping others. From Clonmel in Tipperary, Adi started her career working for Aer Lingus after leaving school. In 1984, she left her job in the airline to work as a volunteer for the Irish Campaign for Nuclear Disarmament. She was instrumental in devising a Peace Education Programme which was delivered to over 50 schools across Ireland. Adi became the first Irish woman elected to the board of directors of the International Peace Bureau at the United Nations in 1990. In 1991, Adi founded the Chernobyl Children International charity, of which she is still the voluntary CEO today. The charity provides humanitarian aid to the children affected by the nuclear disaster in Ukraine, Belarus and Western Russia. 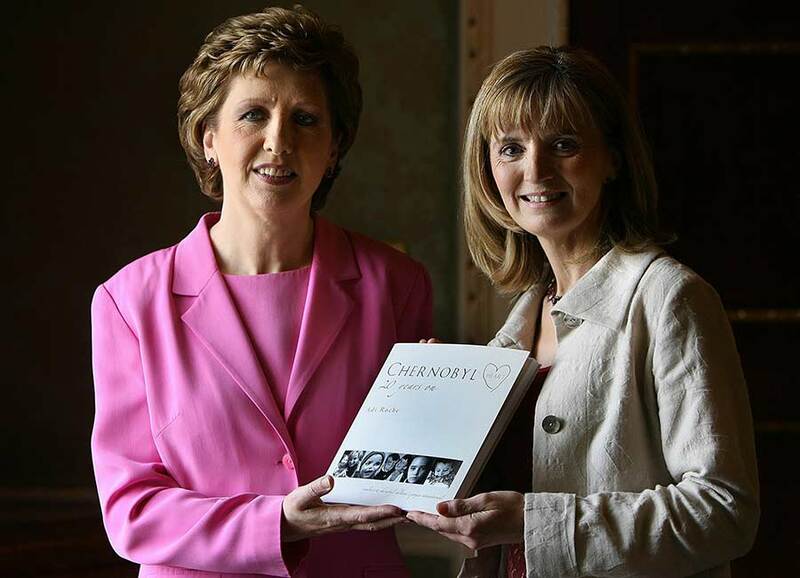 Mary McAleese receives a visit from Adi Roche (right) of the Chernobyl Children’s Project International at Aras an Uachtarain on the 20th anniversary of the Chernobyl nuclear accident. Pic: Julien Behal/PA. CCI has been responsible for helping over 25,000 thousands children travel to Ireland for medical treatment and recuperation. Their Homes of Hope programme has created 30 homes for children who have been living in orphanages. Furthermore, CCI pioneered an adoption agreement between Belarus and Ireland which has allowed hundreds of children to be adopted into Ireland. CCI has also helped saved the lives of thousands of children who were born with congenital heart defects. 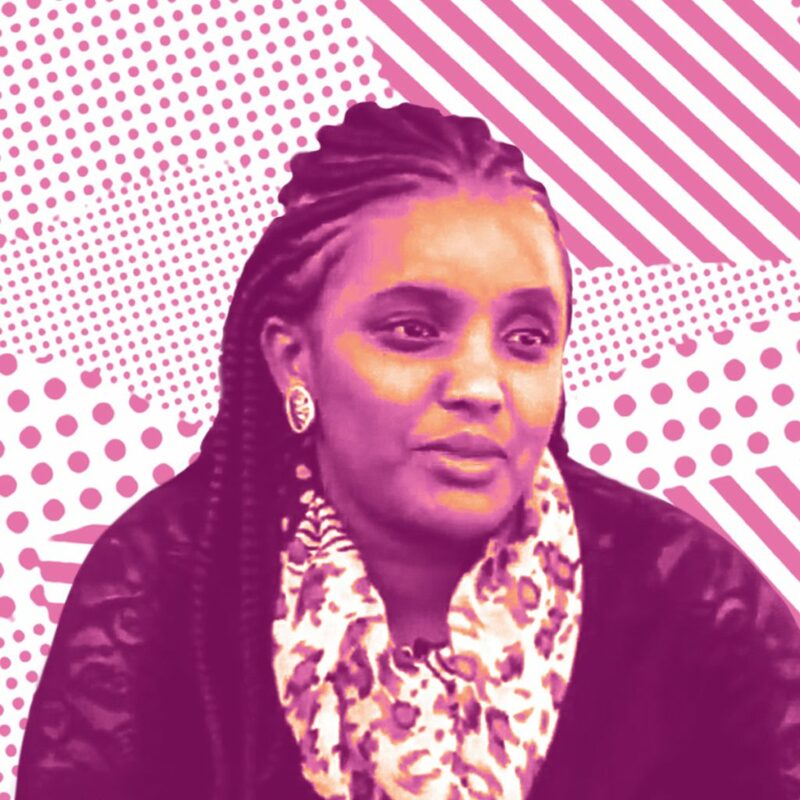 In 2010 Adi received the World of Children Health Award and in 2015 she received the World of Children Alumni Award honoree for the positive impact she has had on the lives of thousands of young people. Adi previously made a documentary about the struggles of the Chernobyl children called ‘Black Wind, White Land’, and was awarded with the European Women Laureate Award. In 1997 she was the recipient of the Tipperary International Peace award for her humanitarian work. This week Adi was responsible for bringing 40 children and young people from areas affected by the Chernobyl nuclear disaster to Ireland for Christmas. 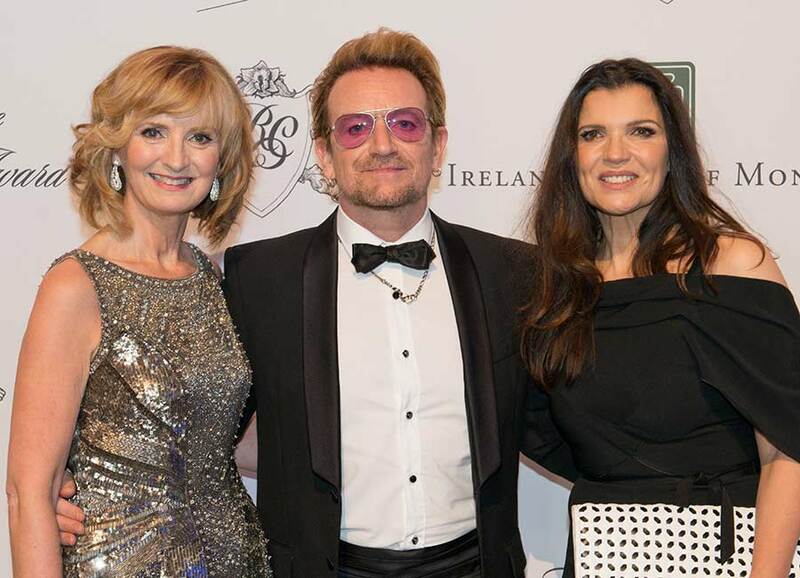 Singer Bono with chief executive Adi Roche and Businesswoman Ali Hewson receive Princess Grace Humanitarian Award at Monaco, France. Behind a heavy iron gate in central Kampala, a single-story brick bungalow is covered by adjoining panels of aluminium siding supported by trussed wooden beams. Inside the building, two clear panels in the ceiling allow some early morning sunshine into the room below. Shakira Mohammad Mukungu‘s voice rings out over the sound of heavy breathing and the rhythmic thud-thud-thudding of a punching bag taking a beating. Framed on the wall, a faded charcoal sketch of Muhammad Ali looks on approvingly. Shakira — or Shaki, as she’s better known — has been the manager at East Coast Boxing Club for three years. In this environment, which feels more like a community centre than a traditional training gym, more than 40 young men ages 7 and older train here — some as often as twice a day. As each boxer enters the gym, they greet Shaki respectfully as “Big Mama,” an affectionate nickname she wears with pride. 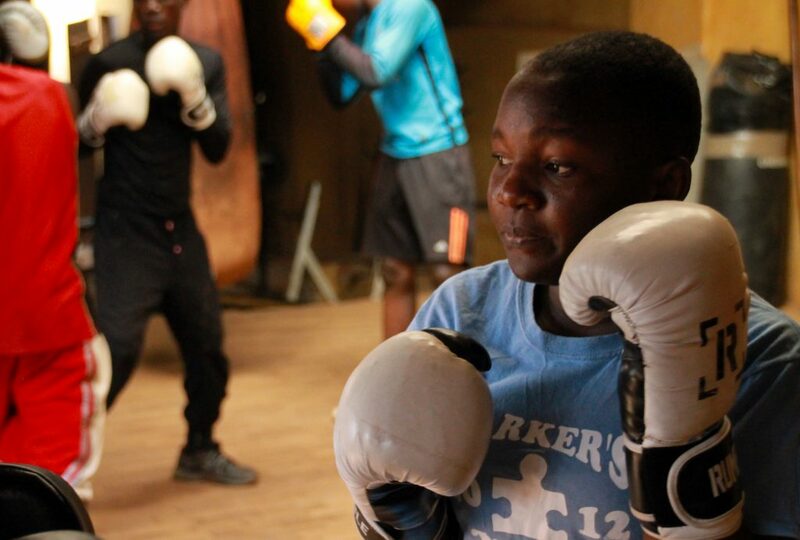 Thanks to hard work and small-scale entrepreneurship skills, Shaki has been able to use her background in counselling and passion for boxing to help motivate local youths. 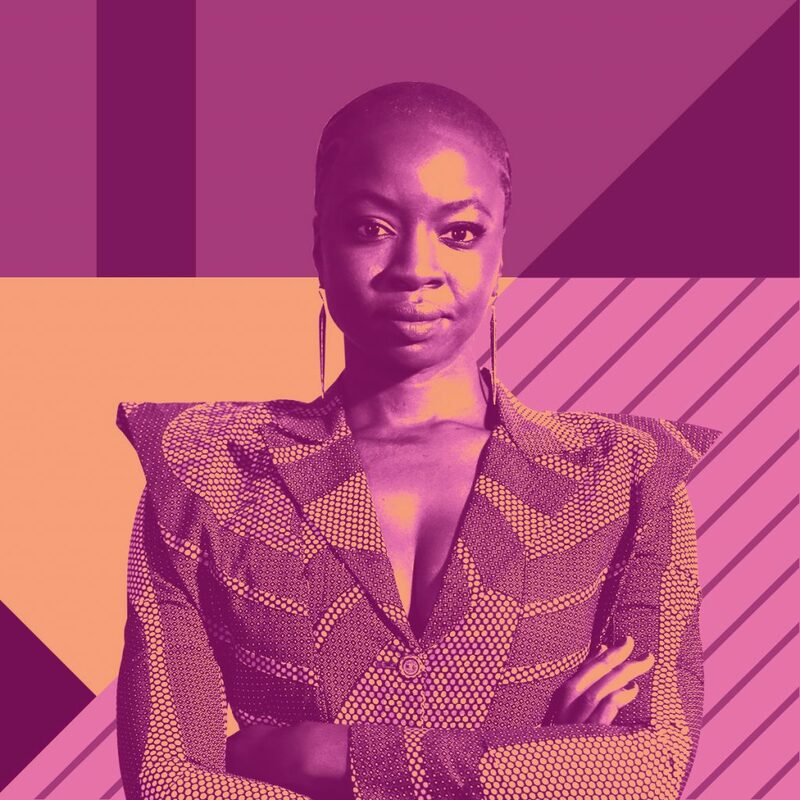 In addition to running the gym, Shaki leads an in-home boxing training program that pairs affluent clients around the city with the young boxers from her gym. 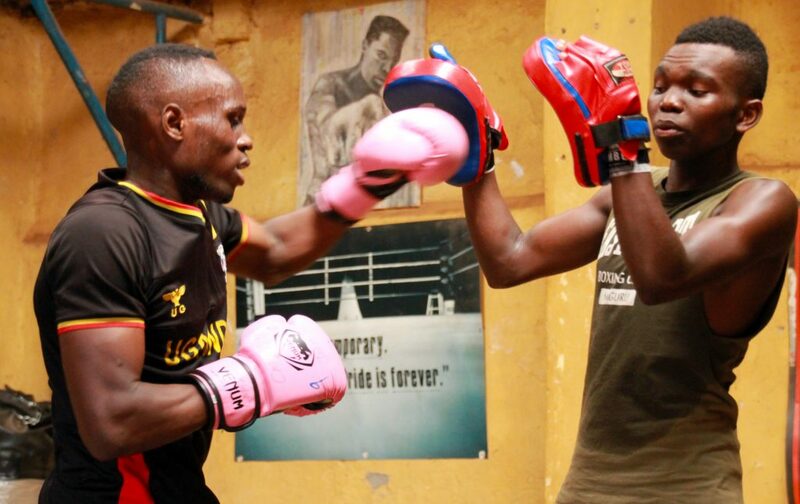 While part of the revenue goes back into the gym, the rest goes to helping the young boxers earn money for school fees or to support their families. Joshua Tukamuhebwa, 18, has been training with East Coast for seven years and is a national youth champion. “Out there, there’s always trouble. But in here, it’s all strength and focus,” he says. 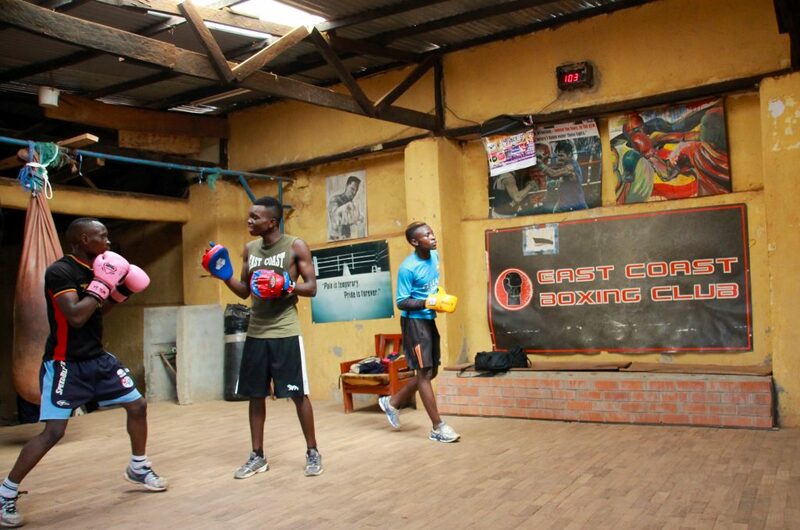 When it comes to young people, boxers or not, Shaki considers discipline the key to a productive life. When she first opened the gym in the neighbourhood, locals were worried about teaching young people to fight. So East Coast started registering its boxers with the local police station. The rules are clear: If they’re caught getting into trouble with the law, they’re out. 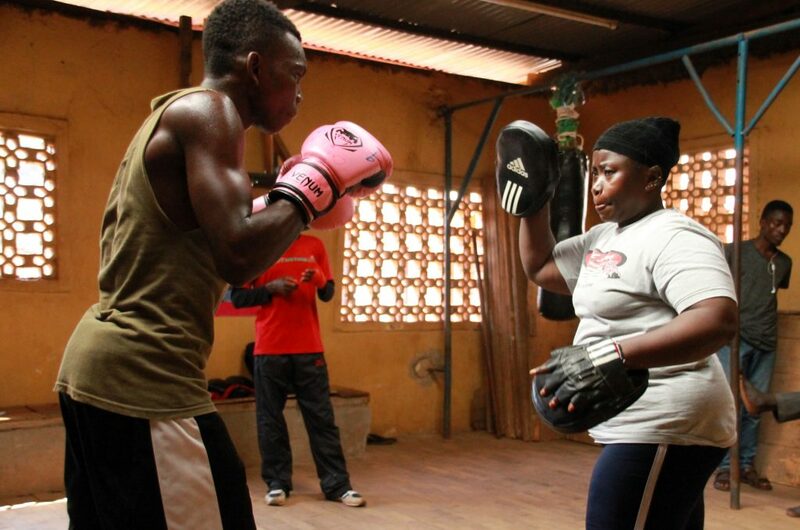 Shaki is the only female trainer at the gym, but she now trains three young women — the club’s first. 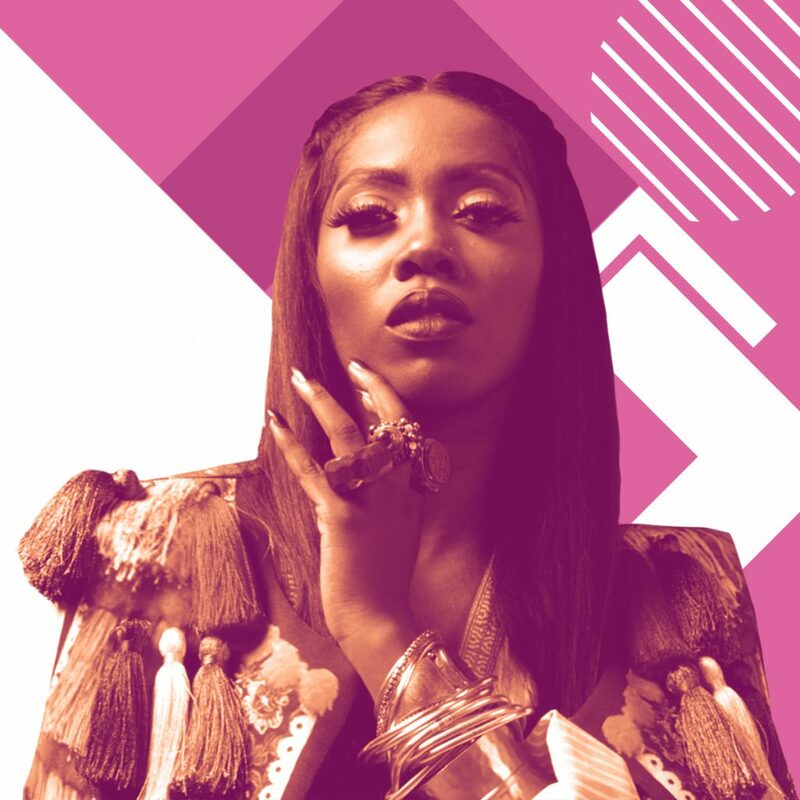 As East Coast becomes a pillar of the community, Shaki acts as a brick-and-mortar guiding force, keeping the youth in line and providing opportunities for growth far outside the walls of the gym. We all deserve to be treated with dignity and respect. And we all have a part to play in working together to move beyond bullying - parents, carers, teachers, students, managers, employees and the community. First of all, teachers, parents and carers should encourage young people to treat others fairly, and model positive behaviour. Many people with a learning disability find it hard to understand what bullying is or if it is happening to them. Finding someone who will listen and give them the right support can also be a challenge, and this in turn can seriously damage their self-esteem. It is important that they are listened to. Proactively talking about bullying is a great way to tackle bullying behaviour, because you might be able to stop it early on or prevent it altogether. Talk to your child about bullying so that they know what it is and that they can feel comfortable telling you about any experience that could be bullying. You can also help them be more prepared if they experience bullying behaviour so that they can respond in the best way and try to stop it early. Writing it down in a letter to you. Using toys or teddies to re-enact experiences they've had. Drawing what has happened to them. Pointing to an emotion chart or using emotion flash cards. You can make these, download them or buy them online. Your child can point to a smiley face, a sad face, an angry face or other visuals that help show how they are feeling. Talk openly about bullying so your child knows how to recognise it and that they can trust you and talk to you about their feelings. People don’t want to make their parents feel angry or sad - if they think you will respond like this, they might not talk to you about their bullying experiences. Respond calmly and with empathy - listen, offer a hug and ask them how this made them feel. Find out the details, and calmly reassure them that it’s not their fault and they did the right thing speaking to you about it. Be sympathetic and ask questions to get details. You can write down what has happened, the dates and times, places where the bullying took place, and if anyone else was around to see it. These details are important, because they will help you explain what has happened to a teacher and take steps to resolve the issue. Talk through the situation and help them form a plan of what to do next - empower them to take control and feel safe. Talk to the bully: If your child feels that they can talk to the bully and ask them to stop, that is the first place to start. If they feel uncomfortable or unable to do so, speak to their teacher. Talk to a teacher: Your child may prefer to talk to their teacher themselves, or they may prefer you to talk to their teacher for them. Make sure you keep talking to your child for updates about how the situation is being dealt with. If you speak to their teacher, stay calm and polite, and explain the details of the situation. The teacher should listen and deal with the situation sensitively. If the teacher doesn't take it seriously: It can be frustrating when you speak to the school about a bullying incident and they don't take it seriously or take steps to resolve the issue. Schools should have an anti-bullying policy. Find out what it is and have a calm conversation with them to make sure that they are following their own policy. Write a diary: write down dates, times, any witnesses, who is involved and other details that can help you record what is happening and convince the school to act on it. If the bullying continues: If the bullying continues or you think it is harassment, you can report the abuse to the police. See mate and hate crime. Support from your local council: Many communities provide local resources to help tackle bullying. The more we become aware of bullying at school, the more likely they’ll take steps to tackle it. Your local council website should have information about anti-bullying schemes. Share with the school the government's guidance on tackling and preventing bullying. Ask your teacher to arrange for a professional speaker to talk to the whole school about bullying. Report ineffective school response to bullying to a local newspaper. School administrators will be quick to change their attitudes if they think they might look bad in the news. Write to the school chair of governors. It is important to get the right support to stop the bullying behaviour and then to manage any lasting effects of the bullying if needed. Focus on looking after the person who has been bullied. If things don’t improve, see if a friend, family member or counsellor can offer the right support. You may need support as well as your child, so finding someone you can talk to is also important. If the person you support is anxious or depressed take them to see a doctor and get professional support for them. Try to be proactive and keep busy, focusing on positive activities like making things and seeing friends. Have patience - it can take time for someone to process what they have been through, get their confidence back and be around people again. If you have concerns for someone's wellbeing or safety call Mencap's helpline on 0808 808 1111. The Learning Disability Helpline is our free help and advice line. Our team can offer advice, information and discuss what support Mencap can offer tailored to your needs, in your area. If you’re considering a career in music, you'll probably want to get get some tips from someone who has been in the business a while. 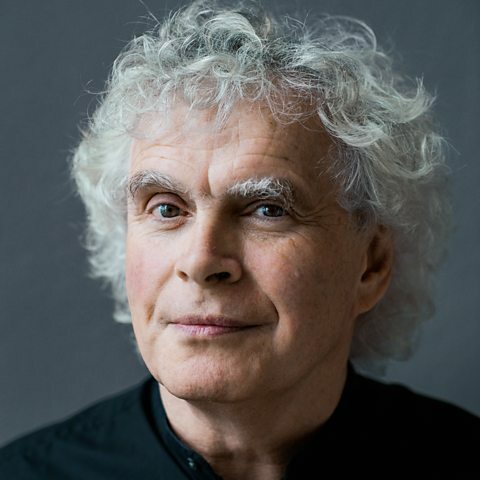 How about... Sir Simon Rattle? 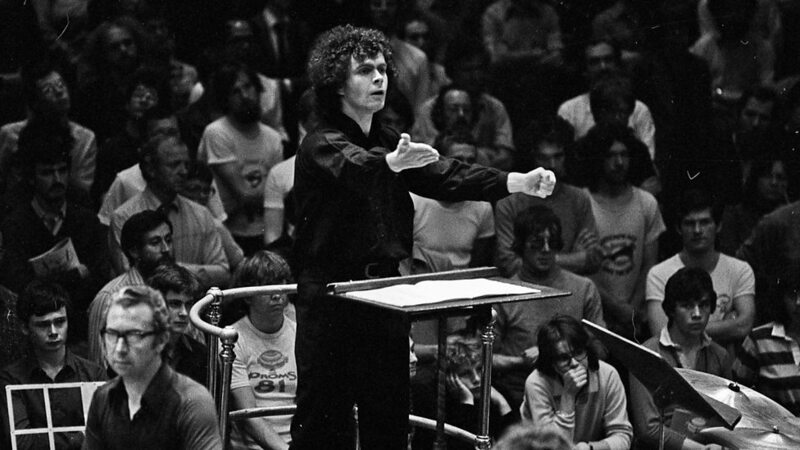 Sir Simon is one of the most renowned conductors on the planet. He bagged his first major gig at the Bournemouth Symphony Orchestra aged just 19 and since then has led some of the world’s greatest orchestras and ensembles. We can confirm that he's also absolutely lovely. Sir Simon was our guest for the S2 finale of BBC Young Musician podcast – so here's what we learned. All the quotes are Sir Simon's: listen to the podcast for more (and to hear Jess, Sam and Zeynep getting seriously starstruck). We simply have to try to keep some kind of balance. It helps if you can go into it with the idea that music is about life and describes life, rather than the other way around. For so many of us, it’s easy to escape into the music because it’s so immediately emotionally satisfying and fascinating. But at the end of your life, it's family and the people you love that you're going to remember – not having done concerts or whatever it is. I don't think there is anybody in the music business who hasn't had some really bad experiences. Everybody has to go through it. The real difficulty is not letting the carpet be pulled out completely from underneath you. Any bad experience affects your confidence, and that can lead to a downward spiral. But I don't know anyone who hasn't gone through this. 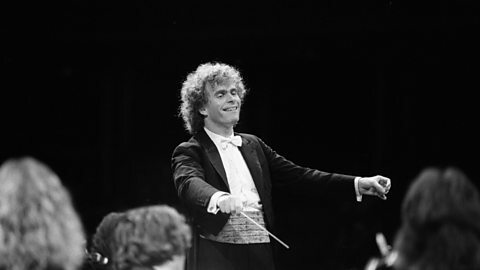 When I first went to conduct the Vienna Philharmonic 30 years ago, I was so desperately nervous that I thought dental work or death were two better options. I decided that I would not say anything at all to the orchestra until we got to the first coffee break, apart from "good morning". As I stepped down at the interval, the first cellist looked up at me and said: "We're really enjoying this, you know." I said: "Really? Because I am just so nervous, I hardly know where to put myself." The cellist replied: "Simon, please don't be nervous. We want this to be good; we're nervous. So please don't you be nervous as well!" This was the most incredibly generous way of putting it. The idea that we were all in in it together helped me so much. We all have problems, we all have to face them, and everybody understands. You'd be amazed how generous people can be if you show a little bit of vulnerability. It is possible to have absolutely no practical knowledge of what goes on the world. A lot of musicians leave college without knowing very, very important things. In my 20s, I had a "Jekyll and Hyde" thing where I wasn't really sure whether I liked the musician in me. Often I would listen to the music I was making and think: "Who the hell IS that person?" So I took a sabbatical in my mid-20s to find out whether I could exist for a year without music. Was it so deeply in my heart and drive that I would just fall to pieces? I studied English instead. It ended up as three university terms, but I made myself a promise I would listen to no music for those months and see whether I could survive. In fact, I found if there was something just as powerful to take its place then that was wonderful. I was glad I could live without it; that it wasn't just a drug. But of course when I went back and heard my first concert, The Eroica Symphony played by the Brighton Philharmonic, I started sobbing so strongly that people around me moved away. I was so overwhelmed by the power of this music that I hadn't heard for months. After that year, I had much less of a problem with the Jekyll and Hyde feeling. There are very few professions in which people get to know each other so profoundly. You can get to know very deep things about people without even necessarily knowing their names – let alone what their lives are like. You're often dealing with these difficult, profound, intense truths. You can know a lot of deeply important things about people without knowing any of the normal, trivial things about them. Work like hell, stay curious, and realise that people around you are actually much nicer than you think they might be. People are very supportive in this profession. Basically, people want to help – and sometimes you have to let them help. Good luck to everybody listening to the podcast: we've all got your back. Everyone's going to support you if you go into this business. 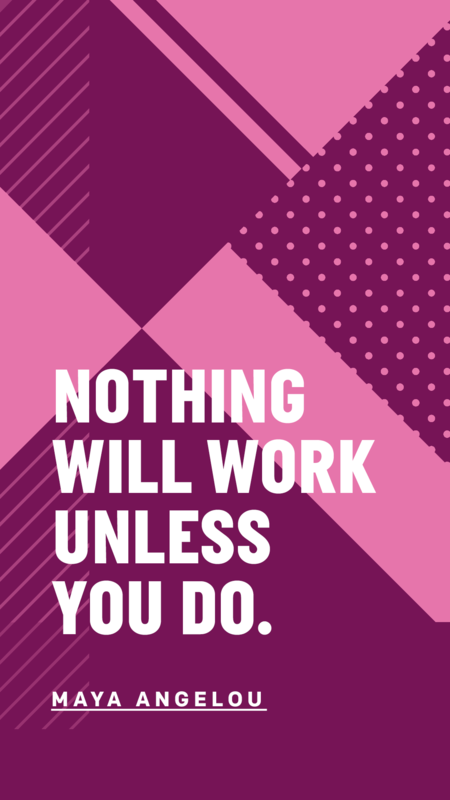 We will all do our best because we all started there and we've all been in it. We all feel we're in the same boat together. That, I hope, you can trust. 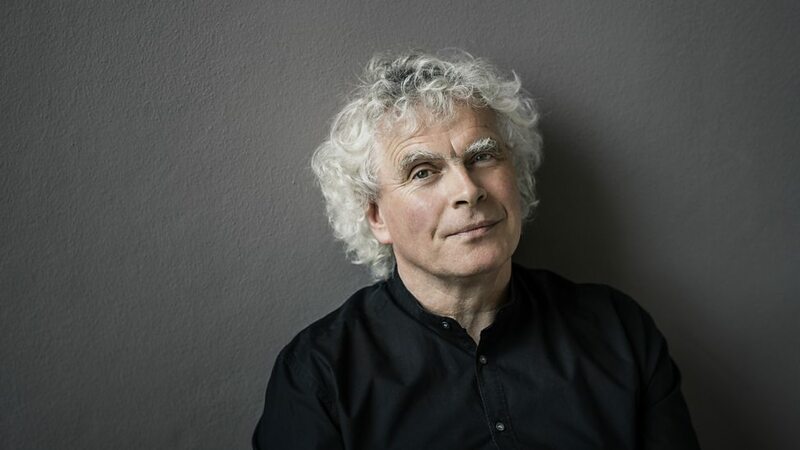 Sir Simon Rattle guests on S2 E10 of BBC Young Musician podcast in an episode all about making a life in music. Listen now and subscribe on BBC Sounds to download every episode so far. The three-year investment will tackle plastic pollution. Packaging makes up 40% of total plastic usage globally. Global Citizen partner Coca-Cola Africa believes that it’s critical for corporations that produce packaged goods and beverages to play their role in protecting and promoting healthier environments. Join us here to support this issue. Economic development is important to achieving the goal to end extreme poverty by 2030 — however, it should not be at the expense of the environment. With plastic pollution making up more than 80% of all litter in the ocean, it has become critical for all corporations that produce packaged products and beverages to put environmental health and sustainable development at the forefront of business strategies; they have to put people and our planet before profits. Global Citizen partner Coca-Cola Africa, who has been operating in Africa for 90 years, believes in doing business the right way by investing in innovative solutions that go beyond products or profit. One such example is the company’s vision to create a “World Without Waste” by collecting and recycling the equivalent of every bottle or can it sells globally by 2030. Coca-Cola Africa is upping its environmental efforts in South Africa and around the continent by committing $38 million — that’s over half a billion rand — over the next three years to stimulate plastic recycling industries across Southern and East Africa. The company announced the commitment to tens of thousands of Global Citizens at the Global Citizen Festival: Mandela 100 on 2 December at FNB Stadium in Johannesburg. “We acknowledge the potential harm packaging, in particular plastic packaging, can do to the environment," said Maserame Mouyeme, the director for public affairs for Coca-Cola in Southern and East Africa. “People matter and our planet matters. At Coca-Cola we believe in doing business the right way. To help increase plastic recycling rates across the continent, I’m proud to announce that over the next three years, the Coca-Cola system will be investing $38 million to stimulate plastic recycling industries across Southern and East Africa,” Mouyeme said. Coca-Cola Africa has a long history of working with communities to promote environmental health, whether it’s through awareness and cleanup campaigns and water conservation programmes that protect and restore water resources. All initiatives aim to drive The Coca-Cola Company's target of empowering 5 million female entrepreneurs by 2020. The commitment made at the Global Citizen Festival: Mandela 100 will also promote a decent work and economic growth. 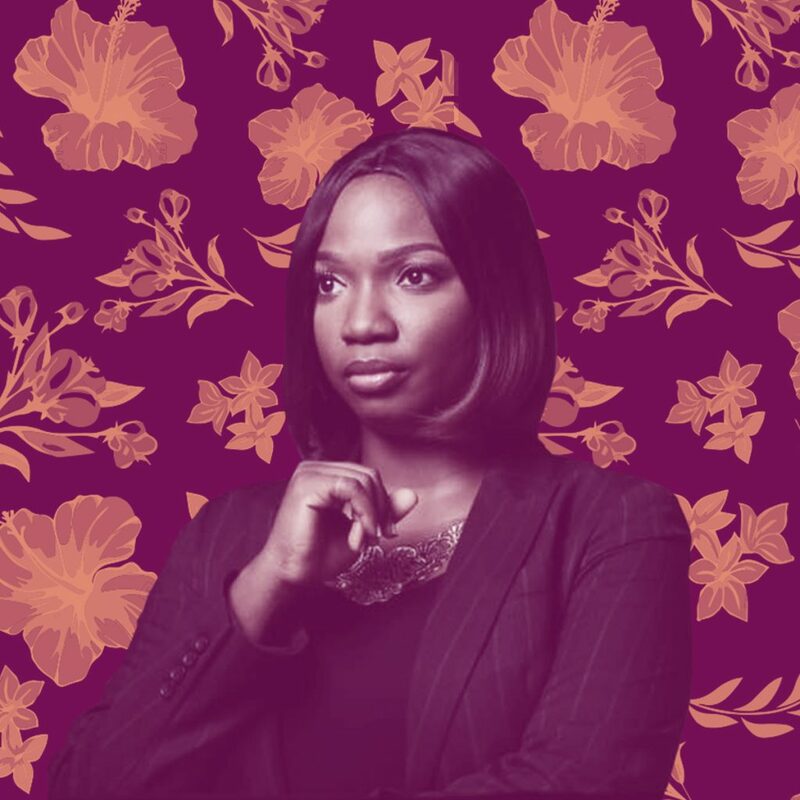 “The investment will create more than 19,000 income opportunities for collectors, many of whom will be women,” Mouyeme said. South Africa has some of the highest recycling rates in the world; 65% of all polyethylene terephthalate (PET) bottles and 85% of all Coca-Cola cans are collected and recycled. “Additionally, today, we are pleased to be announcing our new PET bottle that is made entirely out of previously used plastic bottles. The new Bonaqua 500ml bottle, launching next year, will be made out of 100% recycled PET,” Mouyeme said. No new plastic will be used in the creation of these bottles, and batches of Bonaqua bottles next year will be made directly from the festival. The brand had two swop shops at the festival where Global Citizens could exchange their used cups and bottles for products made recycled packaging, including speakers and boomboxes. 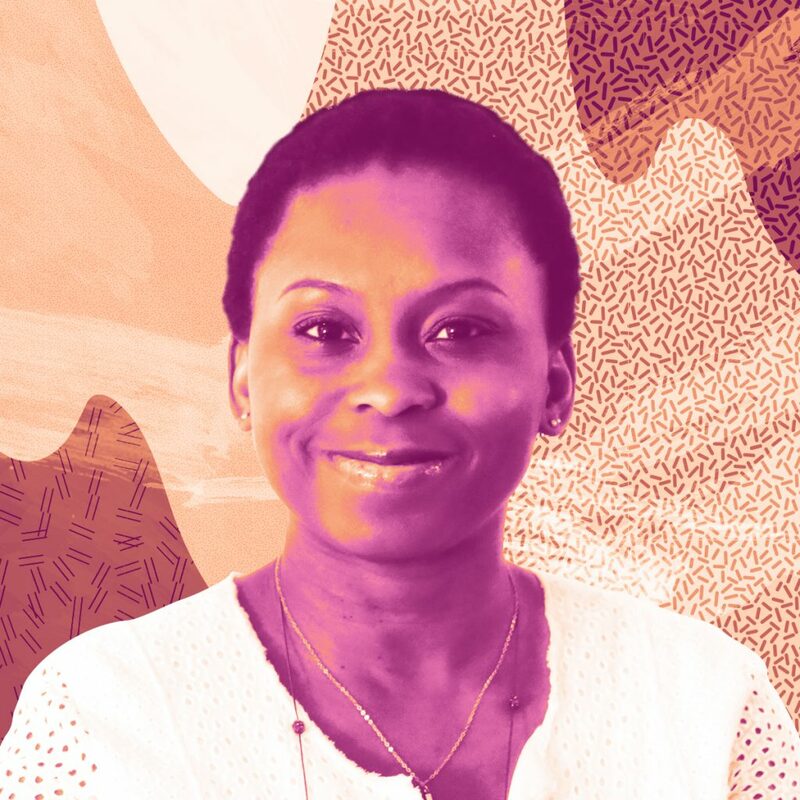 “Let’s all do our part together, as Global Citizens, to create Africa Without Waste,” Mouyeme said. From money to rice, no trade can be justified. In cases of child marriage, young brides are often sold or traded to men to settle disputes, repay debts, and to unload the financial burden of having a daughter at home. Other times, they are traded for household items, animals or even in a human trade. Child marriage is one of the discriminatory practices that Global Citizen and CHIME FOR CHANGE's Level The Law campaign seeks to address. You can take action here. Here are some of the most ridiculous things that young girls have been known to be traded for. Each of these instances demonstrates why it’s time we Level the Law once and for all. A father in Afghanistan sold his 6-year-old daughter, Gharibdol, to a 55-year-old mullah named Seyed Abdolkarim in the Afghan community in Obeh. Gharibdol’s father was struggling to feed his family so he traded her for a goat, rice, tea, sugar, and cooking oil, according to a report. A 16-year-old girl from Hyderabad, in India, was reportedly sold for $7,800 to an Omani sheikh, who is 65 years old. Her mother accused her sister-in-law and brother-in-law of the crime, according to the Times of India. Thirteen-year-old Eliza’s father forced her to marry a 35-year-old man from her village in the town of Rumbek, in South Sudan. She was traded for 50 cattle, according to The Associated Press. 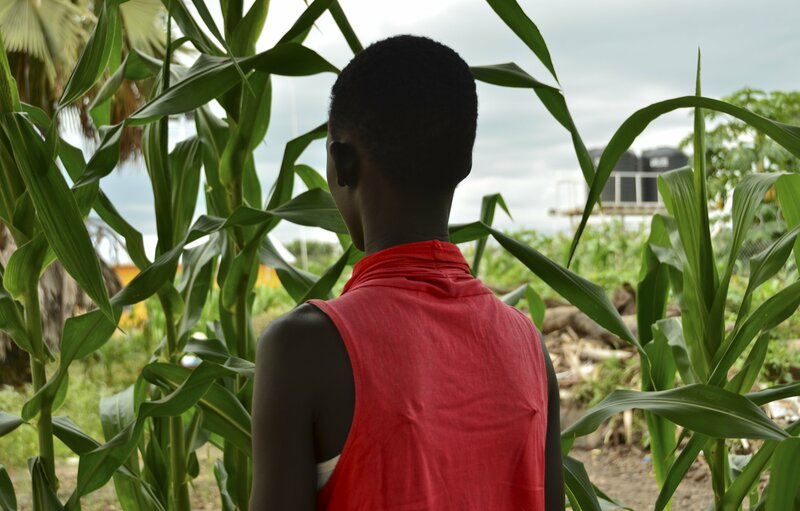 In South Sudan, child brides are often traded for livestock like cows. 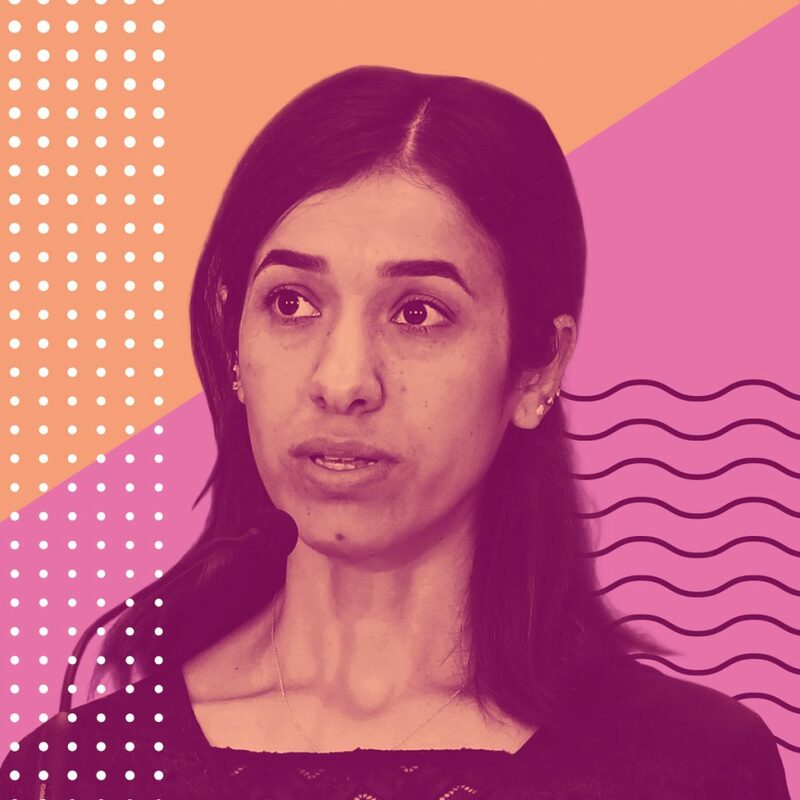 Fariba Nawa’s book, “Opium Nation: Child Brides, Drug Lords, and One Woman's Journey Through Afghanistan,” details cases of families selling their daughters to settle debts stemming from opium trades. In one case, a 12-year-old girl was promised to a man who was 30 years older than her because her father had to repay the funds he had borrowed from him for his poppy enterprise. 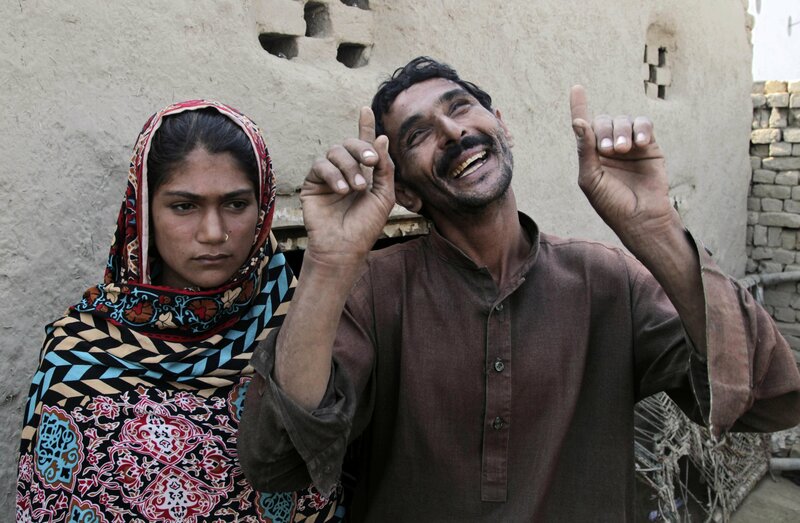 In Pakistan, Saima Ramzan was traded by her father, Wazir Ahmed, so that he could take a second wife. At 14 years old, she was married off to a 36-year-old man, according to the Associated Press. Just recently, a 6-year-old girl was rescued from a marriage to a 60-year-old Afghan cleric. Her parents said she was kidnapped, but the man, Sayed Mohammad Karim, said the girl was given to him by her parents as a gift as a religious offering. A nonprofit has already built 23 in a flood-prone area of the country. There are 75 million children worldwide who are currently out of school because conflict or natural disaster. Flooding often stops children from attending school in Bangladesh. You can join us in taking action here. School must go on during monsoon season in Bangladesh. And for students living near the Atrai river, that means attending class on a boat. Mohammed Rezwan, founder of the award-winning nonprofit Shidhulai Swanirvar Sangstha, is using year-round floating schools to ensure floods don’t stop Bengali children from getting an education, NPR reports. As one of the most flood-prone countries in the world, Bangladesh is extremely vulnerable to natural disasters. Up to 70% of the South Asian country can end up submerged in water because a lot of its land is less than 16 feet above sea level. This leaves too many opportunities for children to miss class because they can’t get there. Rezwan grew up in the region where his group has already set up 23 floating schools. His first floating school went up in 2002. "It becomes very difficult to have the normal life," Renwan said about flooding periods in Bangladesh. Mafya Begum, a floating school teacher, said areas affected by monsoon season get completely cut off from other civilization. Flooding is only one more inconvenience Bangladeshi teachers face. Lack of funding and overflowing classrooms don’t make their jobs any easier. Some students near the Atrai river start their days waiting to get a ride from the school boat itself. It makes its rounds down the river to pick children up and then the cramped classroom docks for the day. The boat later shuttles students back home and then grabs another group for a second session in the afternoon. Young girls benefit immensely from floating schools. Without them, their parents advise them to stay home and avoid dangerous commutes. While Bangladesh is making social progress, and has cut its poverty rate significantly, rural communities can’t move forward without groups like Shidhulai. The nonprofit’s floating infrastructure doesn’t stop at education buildings, either. It also runs five floating medical clinics, and recently opened a playground that doubles as a library on the river. National and international Funding allows these resources to stay free. As flooding becomes more common around the world due to climate change, we’ll probably see more floating buildings soon enough. We have to address our “sea blindness” to drive change, say scientists. In just 10 years, the amount of plastic in the ocean will triple unless we make drastic changes, according to a major new report published by the UK government. The Foresight Future of the Sea Report, published on Wednesday, warned that to find a solution we must address our “sea blindness” — our widespread lack of understanding of the sea and its value. “This is best demonstrated by the fact that the seabed is less mapped than the surface of Mars,” says the report. “The consequence of this is an increased risk of policy makers, industry, and the public underestimating the opportunities from the sea, and the implications of damaging its environment,” it said. Growing threats to marine biodiversity, linked to human activities including over-exploitation and climate change. Sea level rise and a following increase in coastal flooding. Rising temperatures — increases of 1.2-3.2C are projected by 2100, depending on emissions. Ocean plastic — predicted to treble between 2015 and 2025. Chemical pollution, with pollutants able to persist in the oceans for decades after their use is restricted by legislation. One central concern is that, while research is being done, we don’t yet know the real damage that ocean plastic is doing. “We should minimise the amount of plastic, both macro-plastic and micro-plastic, going into the marine environment in order to make sure that if there are toxic effects, those are being dealt with,” he said. The report recommended that efforts to stop plastic entering the sea should include the use of biodegradable plastics, and launching awareness campaigns so the public know about the problem and how they can take action to combat it. It also emphasised that we have to address the key threats to biodiversity and protect marine ecosystems, to preserve the long-term sustainability of the sea. But, it says, to protect the oceans, collaboration is key — both within the UK government, and globally. “The issues desired in this report are overwhelmingly global,” it says. “The UK shares the marine environment, trade, security challenges, and opportunities with its global partners. The long-term success of the UK’s marine and maritime interests will, to a large extent, therefore depend upon global action and collaboration." But, according to the report, there are serious advantages to protecting biodiversity in the sea and cashing in on what is described as the “ocean economy” — which is predicted to double to $3 trillion by 2030. The largest area of industrial growth, it suggests, will come from offshore wind, followed by marine aquaculture — the farming of fish, shellfish, etc. Foresight reports are written by experts to brief ministers on significant issues in both the medium and long-term. 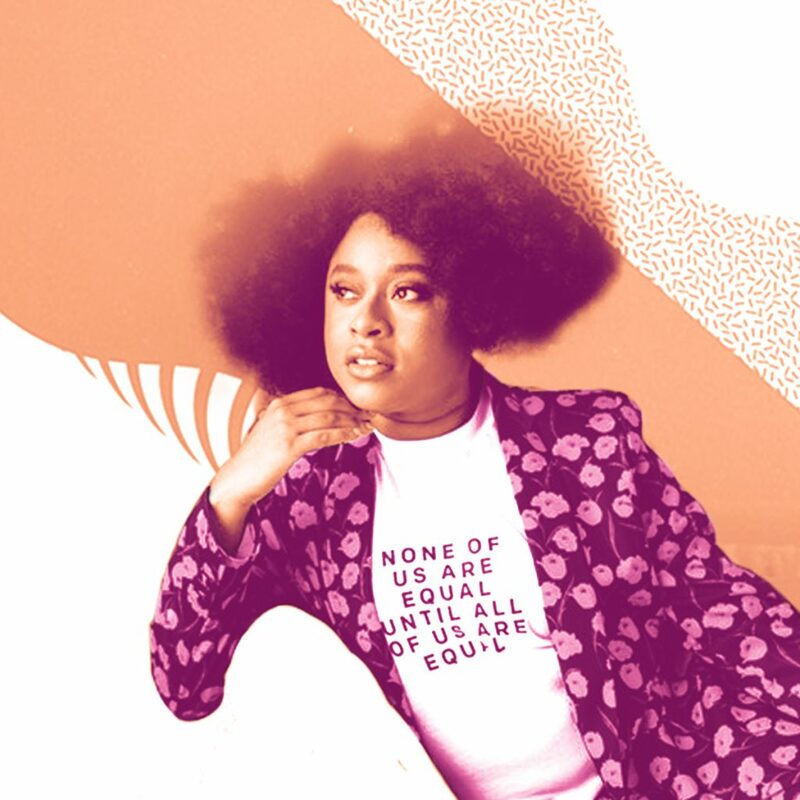 Global Citizen campaigns to achieve the UN’s Global Goals, which include action on climate change, life below water, and creating sustainable cities and communities. You can join us by taking action on these issues here.